Examples of furniture from two Art Movements are seen below. Art Nouveau (1880s to 1920s) and Bauhaus Design (1919 to 1930s). The contrast in design philosophy is obvious. Art Nouveau design is ornate, decorative and manufactured by skilled craftsmen. 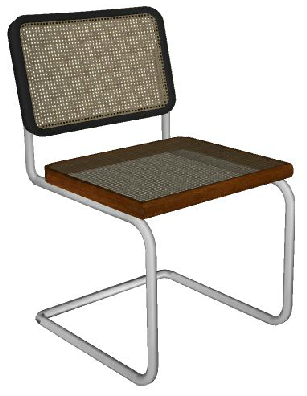 Bauhaus design is simplistic, functional and the furniture can be manufactured on an industrial scale. 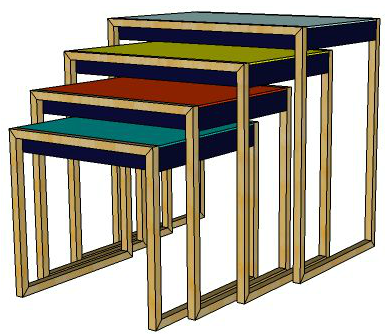 Compare the Art Nouveau furniture of the 1880s with the furniture designed by the Bauhaus in the 1920s. The differences in design philosophy, are listed below each piece of furniture. 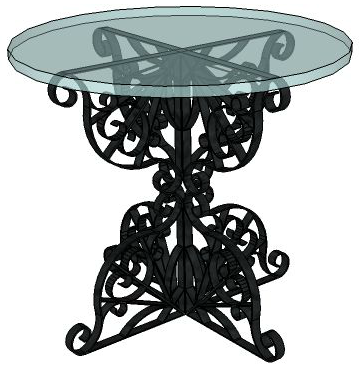 Material - Traditional wrought iron. Simplistic and yet thoughtful modern design. Manufactured on an industrial scale using industrial techniques. Combination of modern materials and modern manufacturing techniques. Art and decoration more important than comfort. Manufactured through traditional craft skills. Expensive to manufacture. Minimalist in design. Simplicity is key to this design. 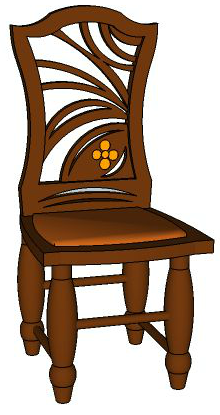 The function of the chair put before decoration. New materials and manufacturing techniques used in this innovative design.